Some cherries are bitter, but this is a particular sweet one! Here you’ll find an action packed eSport section with all the popular eSport games well covered! The markets may seem a bit limited, but the amount of matches are great and the amazing settling times ensure that you never have to miss a bet! 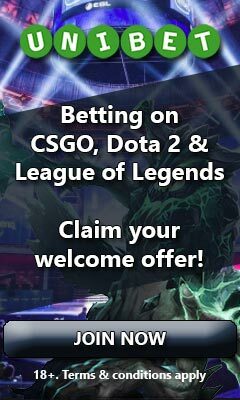 Grab a fine welcome bonus and invest it all on the exciting eSport bets offered or spend some of it on a wide selection of thrilling slots! In need of assistance? Their awesome support is always there to aid you! Take a bite and taste the sweetness of the cherry by clicking the button below continue reading the rest of our thorough review. For Finish and Norwegian players, CherryCasino offers a true gambling bonus of up to 500 free spins. By depositing a minimum amount of €20, you’ll get to spin a wheel that will either earn you 15, 20, 25, 30, 100 or 500 free spins worth €0.1 each. 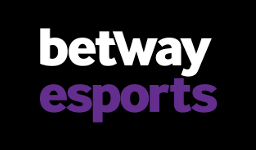 Your winnings from the free spins become bonus money that can be used on eSports and that needs to be wagered 10 times on odds 1.80 or higher within 14 days. For German players, CherryCasino offers a deposit bonus of 100% up to €25. The bonus money received needs to be wagered 10 times on odds 1.80 or higher within 14 days from claiming the bonus. 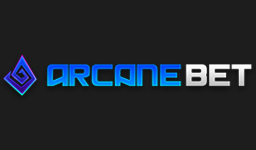 When it comes to eSports, CherryCasino does a good job covering a lot of matches on tournaments going down. 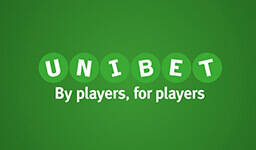 You can expect to find plenty of bets on the more common games, as well as bets on some of the rarer ones. The only thing we could really wish for is that they offered a bit more markets as it’s usually only handicap and over/under total score offered apart from the usual match winner. With great settling times, around the clock support and a really nice and simple design, CherryCasino is definitely a site well worth visiting. Should you be interested in Casino games as well, you definitely won’t be disappointed as they have a wide selection. Even though the withdrawal time isn’t necessarily bad, should this just be a little bit better as well as some more markets offered, CherryCasino could very well knock most of its competition out. Withdrawals at CherryCasino are usually processed within 24 hours, but one will often experience that they are processed much faster than that and sometimes even instantly. There are however unfortunately also times where it could take up to 72 hours and unfortunately one cannot contact the support to have it sped up. When it comes to settling bets, CherryCasino does a great job as they are usually settled within minutes of the event occurring. This is regardless of being a live or pre-match bet. In other words your bets are always settled while the match is still on-going and usually it’s done very quickly and efficiently. With almost 500 different slots, several table games and video pokers, as well as a complete live casino, CherryCasino offers a great casino experience, to say the least. The only thing we could wish for is a bit more diversity in game providers. For instance we would like to see games from Williams Interactive. However if games from NetEnt, Microgaming, Yggdrasil and Amaya is your cup of tea, you will be more than pleased with the selection of games. In addition to this, CherryCasino also have a lotto section where you can take part of a lottery. Argentina, Brazil, Finland, Germany, Ireland, Norway, Russia, Sweden, Switzerland. American Samoa, Australia, Austria, Belgium, Bonaire, Bosnia, Canada, Denmark, France, French Guiana, French Polynesia, Guadeloupe, Guam, Hungary, Iceland, India, Indonesia, Israel, Italy, Malaysia, Martinique, Netherlands, New Caledonia, Nigeria, Philippines, Portugal, Reunion, Saint Barthelemy, Saint Martin (French),Saint Pierre and Miquelon, Spain, Thailand, East Timor, Turkey, UAE, Ukraine, United Kingdom, United States of America and Wallis and Futuna.